Hi guys!! How are you doing? I am quite alright. Last night I wanted to do a gradient mani with some stamping and it all became a mess. I really didn’t like the outcome, it was tacky and too shiny :). I especially didn’t like the stamping. I did too much stamping so the gradient was barely visible. And I just took the whole thing off. 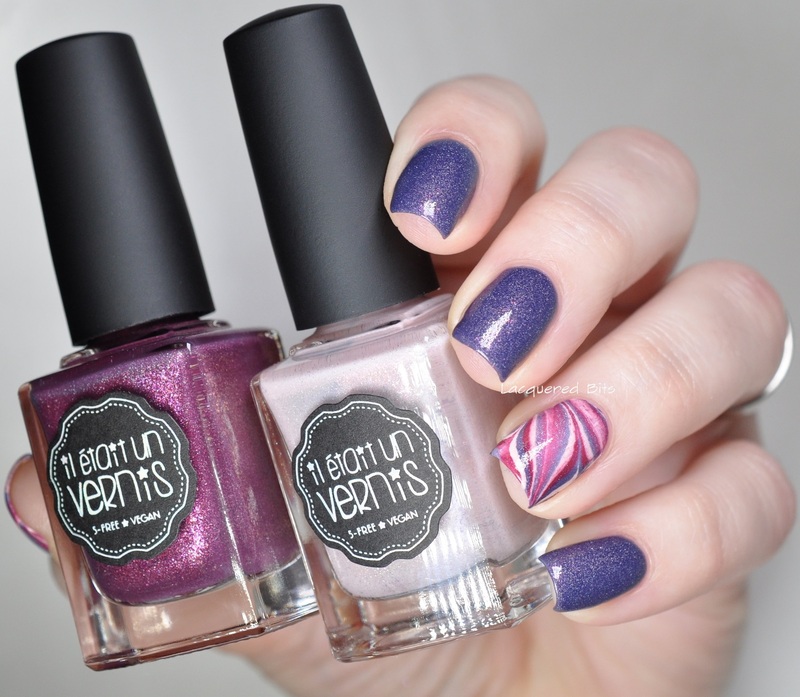 So instead of yesterday’s disaster, I did some holographic water marble on just two nails. And this looks way better, as a matter of fact I love this one :). Let’s start with how I did this. First I did the marble nails. Ring finger and my thumb. I applied one coat of white polish, KBShimmer – Eyes White Open and then I waited for it to dry. In the mean time I applied the Cuticle Defender from Kaleidoscope on the skin around the nails (on thumb and ring finger). After the white base was dry I got some cold water in to a plastic cup and I started to drop in the drops of Il Etait Un Vernis – Heart.Skips.A.Beat., HOLO(VE) and A Thousand Kisses. I did three rounds of drops with each polish and then I made a star pattern and dipped the finger in to the desired pattern. 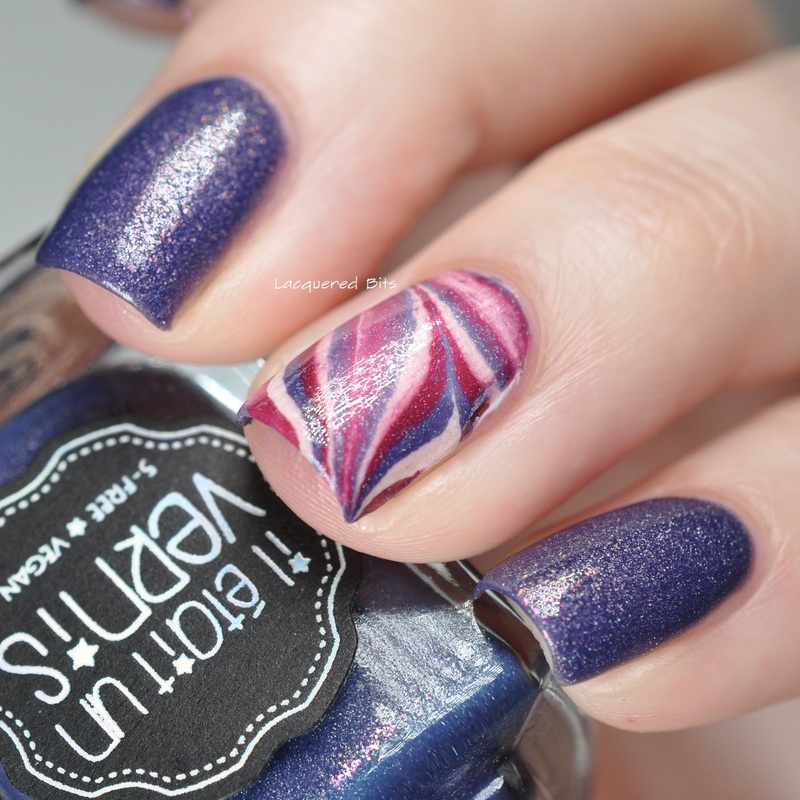 And as you can see the polishes blended together, the edges got blurred a bit. So this is how I made the thumb and ring finger. Then I removed the Cuticle Defender and cleaned up the area around the nail. 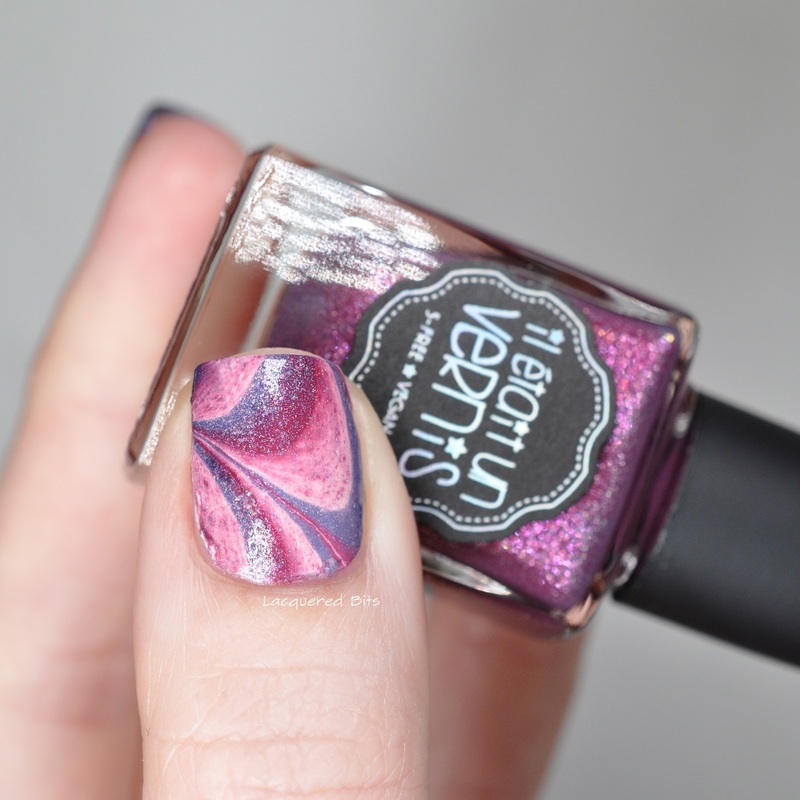 On all the other three nails I applied two coats of Il Etait Un Vernis – Heart.Skups.A.Beat.. I sealed everything with Essie – Good To Go. 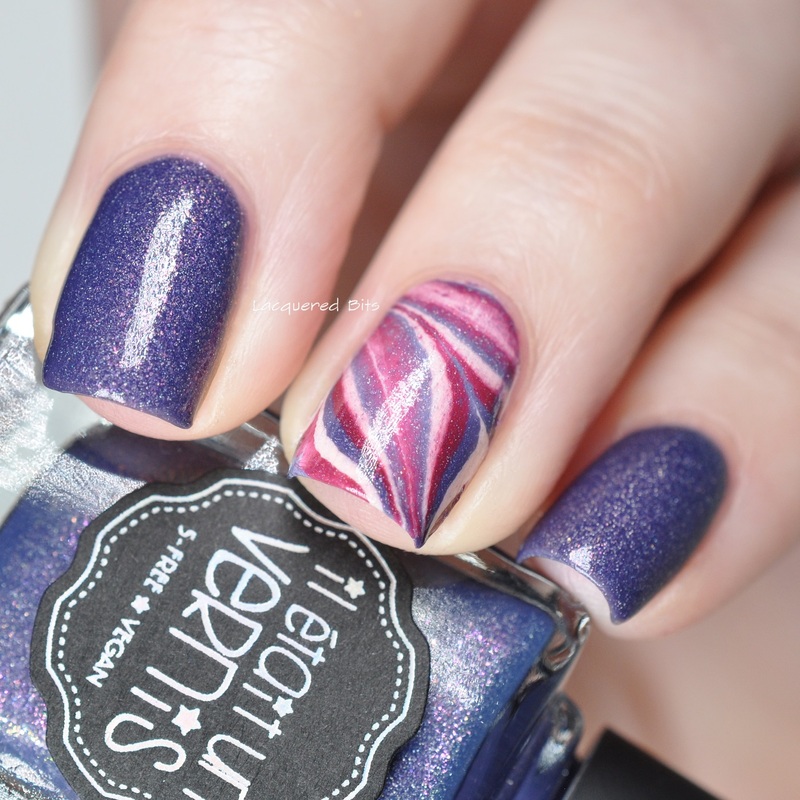 So what are your thoughts on today’s mani? 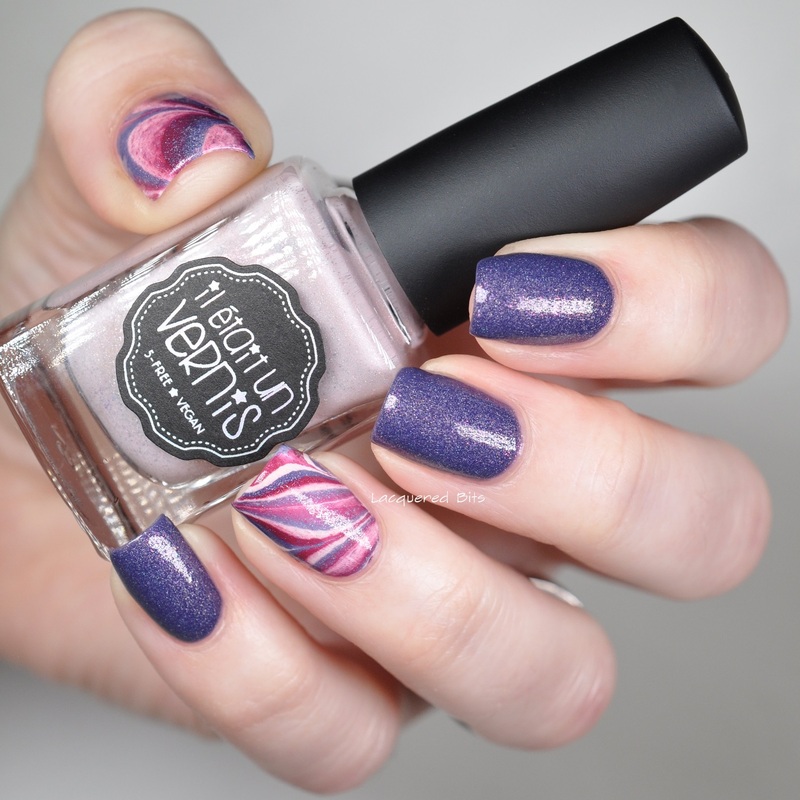 I like the blended water marble, the thumb looks like it had ice cream on, it looks so yummy :).